For new and existing businesses in Oakville, Ontario, VOOFA is offering affordable branding services that include Logo Design, Brochure Design (2 page and Tri fold brochures), Flyer Design, Business Card Design, Poster Design, Banner Design, Corporate Folder Designs, QR Codes, Ebook Editing, CD Cover Designs and Social Media Icon Designs. Hire the Top branding experts and Graphic Designers in Oakville, Ontario. VOOFA has designed more than 1500 brands across North America for a variety of businesses including industrial, real estate, lawyers, logistics companies, construction, renovation, entertainment, digital agencies, manufacturers, sports, fitness and health, food delivery and restaurants and entrepreneurs & start ups. We have worked with small businesses to large size corporations and have successfully established brands that b2b and b2c clients feel proud to embrace. 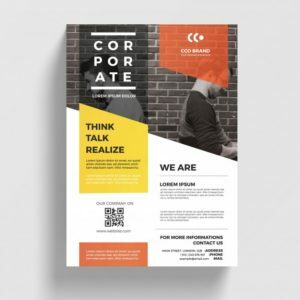 Where logo design is the face of your company, Flyer and Brochures can prove very useful when promoting your services via mailing and meeting your clients. For years business cards have been the way to share the contact information in person and every professional require a stylish call to action business card design. We can help you with your Flyers, Brochures and Business Card Designs in Oakville, Ontario. Contact us. VOOFA is an online marketing company that serves many major cities in North America including Oakville, Ontario Canada. Our in-house graphic designers have produced more than 5000 designs over the past 10 years and we excel in our design concepts. From stylish layouts to artistic, call to action, fresh creative designs, we know exactly what will catch your customers attention. Therefore hire the best graphic designer in the industry and get the best designs for your online marketing and print material. VOOFA offers cheap affordable pricing for Graphic Design Work in Oakville, Ontario. Hire us today for branding, brand positioning and brand management services.